Pleasant odors can lift our spirits and improve our mood. The smell of coffee brewing or bacon frying can coax us out of bed in the morning. The scent of flowers or perfume may put is in a romantic frame of mind. Unpleasant odors can have the opposite effect. They can cause us to feel repelled and even cringe. Now you can make sure that only clean air is in your home with the Newaire Plugin Electronic Deodorizer. We love our pets and may think they are wonderful, yet the smell we are used to may be unpleasant to others, and pet dander can be even worse. It may be because they are unpleasant, but bad odors seem to linger longer than the ones we like. Fortunately, those offensive indoor orders can easily be eliminated with the use of ozone generating air purifiers. Ozone generators remove all unwanted odors from the air by destroying the molecules responsible, whether they are from mold, bacteria, smoke or other contaminants. Ozone (O3) is a reactive form of an oxygen molecule. It changes the chemical structure of pollutants so they are no longer offensive or harmful. Scented air sprays do not remove the odor causing particles from the air, they simply mask them by adding pleasant scents. If you live in a home or apartment that has persistent and offensive odors from pets, food, tobacco smoke, mold, garbage or other sources, an ozone generator may be what is needed to allow you to breathe more easily. Ozone seeks out and destroys odors in the air. Ions created by coronal discharge cause dust particles in the air to clump into larger particles that fall to the ground to be vacuumed up. For cleaning the air in a single room, the Newaire Plugin Series of ozone deodorizers are effective for cleaning odors from up to 500 sq/ft of air. Simply plug the device into an electrical wall outlet and let it start to remove the unpleasant odors from the air. The air quality is improved by a freshening infusion of enhanced ionization. This may be especially helpful for some one who has difficulty breathing in polluted or pollen filled air. You may have a vehicle that smells bad, such as a used car, truck, minivan or commercial vehicle. You may have an old RV that smells musty after sitting unused for several months. The Newaire Auto Series II can safely eliminate the offensive odors from up to 250 sq/ft, giving you and your passengers a much more pleasant experience. Just plug it into a DC outlet, and it will go to work cleaning the air. It may even save your vacation in the case of a musty RV. As always, contact the Ozone Experts anytime for help with choosing the right product for your needs. With National Care about Indoor Air Month in full swing, we wanted to spend a few moments this week taking about the topic. What many Americans may not be cognizant of is how big a problem indoor air pollution really is. So we decided to start off with a few shocking statistics and then talk about how to eliminate odor naturally. According to the U.S. Environmental Protection Agency, on a daily basis, each of us takes in roughly 3,000 gallons of air. For most of us, at least 16 hours of our day are spent indoors. Now couple that with the World Health Organization’s research. It indicates that poor indoor air quality contributes a notable amount to what’s known as the global burden of disease. How much is a notable amount? In the early 2000s, when the last major study was conducted, the amount was 2.7 percent. At the time, the organization was also able to directly contribute indoor air pollution exposure to more than 1 million fatalities. That, in effect, made it one of the organization’s top 10 public health concerns. Although it has been a while since another study of that magnitude was conducted, we doubt that much has changed for the better. After all, the results of the American Lung Association’s 2013 State of the Air Report were not something to celebrate. They indicated that more than 44 million human beings still live in areas around the globe that are known to have exceptionally poor outdoor air quality. So we can only imagine that indoor air quality in America still needs a lot of improvement too. Thus, if you want to eliminate odors naturally from your environment during National Care about Indoor Air Month, we’d recommend buying an ozone generator. It will help improve your indoor environment immensely. For more information about securing one in time for National Care about Indoor Air Month, please contact us. It seems like severe weather has been dominating the news cycle as of late. Hurricanes Harvey, Irma and Maria have caused unprecedented damage in the Caribbean, Texas, Florida, Georgia and the Carolinas. Unfortunately, the road to recovery will be a long one for those hit the hardest. The type of property damage that occurs during weather disasters obviously varies. However, we can say one thing with a high degree of confidence. Storm related property damage often causes putrid odors that overtake homes and businesses. Using an ozone generator or air purifier to remove odors and help with flood damage cleanup is a valuable option. The odor that occurs after water damage can happen as soon as a day or two after the flood damage. The smell that you have to deal with will likely be mildew and/or mold. Of course improving the air quality after severe weather is too tough a job for cans of aerosol spray. There are far too many odors and airborne particulate matter that may develop as a result of storm damage. Thus, it is best to attack them all naturally so no additional, potentially offensive items are introduced into the environment. An ozone generator is a device that can get rid of the particulates that have been placed in the air. They are specifically designed to remove odors associated with mold, mildew, bacteria, sewage and all of the other nastiness that washes into properties during flooding situations. However, they come in a variety of sizes. So it’s vital to choose one that is compatible with the size of the flood damaged area. To learn more about dealing with flood damage related odors, please visit our website at http://ozoneexperts.com or contact us toll-free at (866) 676-9663. Today many people want to eliminate the odors in their homes that result from tobacco, pets, cooking, mold and more. Using sprays other types of air fresheners only masks the sent and do not eliminate them. In order to successfully remove odors from their homes many people use an ozone generator. It doesn’t mask these odors and actually destroys them. An ozone generator can be used to eliminate the strongest smells from any enclosed area. They are designed to continuously find odor particle and eliminate them by turning them into carbon dioxide and oxygen. They can be used for rooms with plants, one that has suffered smoke damage and more. There are a variety of ways an ozone generator are used by businesses. Painters will use them to eliminate the smell of paint and primer from an area close to where people can be affected by the smell. Carpet installers will use them to remove the smell and unhealthy elements that come from new carpets. They are also used by building managers for a variety of purposes. 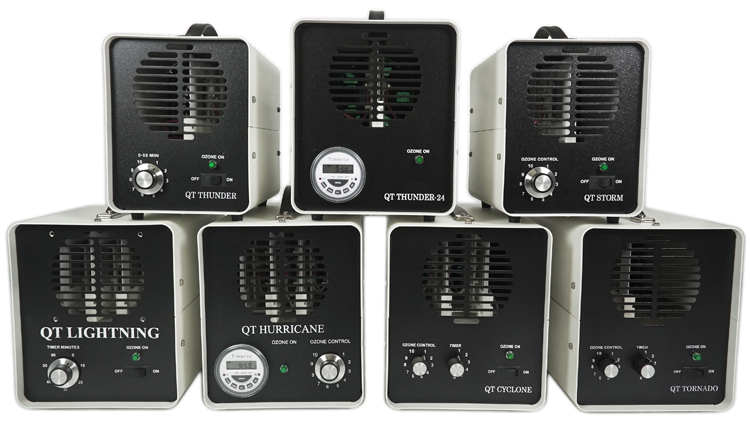 Any professional who restores buildings after a flood, fire or other disaster will utilize an ozone generator. People who are moving into an apartment may want to have an ozone generator to eliminate any odors left by a previous tenant. People will want to use them for removing garbage or dumpster odors, bathroom odors and more. Any place in a building where there is undesirable odor is a place an ozone generator can eliminate it. If you would like to know more about the benefits of using an ozone generator we can help. Contact us today and learn more. When you consider all the ways that homes become “odorous” it is easy to imagine that a property manager has come across smells that bewilder the average person. Pet smells, mold and mildew, old dirty diapers and all sorts of stuff to offend the nose are common when folks move out of a property. Before the home can be shown and re-rented it is important to make it look and smell like new. The first step a property manager must take is to clean the home, everything from the windows and walls to the ceiling fans and blinds need to be washed with a disinfectant and antibacterial cleanser. Opening the windows and shampooing the carpets will go a long way toward letting the home air out and smell a bit better, sadly this is a first step to dealing with real estate odors but not necessarily enough. Some property managers choose to place bowls of vinegar or lemon juice in the property overnight. Lemon leaves behind a fresh fruity scent but doesn’t really eliminate the bad odors and vinegar does neutralized odors and the vinegar smell fades quickly leaving what appears to be fresh clean air. But the next time the manager visits, to show the property there is likely still a lingering bad odor. This can be completely remedied by installing ozone producing machines. Ozone generators create ozone which is also known as activated oxygen. The ozone produces is a natural way to eliminate odors completely instead of just covering them up. While these machines are similar to air purifiers or air filters the difference is that the machine creates ions which go forth and destroy odorous molecules while air purifiers have to cycle the air through the machine to clean it. Contact us to learn more about how ozone generators could be the answer to your bad odors. Successful property managers get empty units filled quickly, in order to make this happen they have to know a bit about removing real estate odors, cleaning, and covering up scents only works to freshen the home temporarily, the only way to make sure the smells don’t reappear after a few days is to completely purify the air molecules with an ozone generator. Selling a home is best accomplished when everything is firing on all cylinders, which means you want to avoid having any aspect of your home that could negatively impact your home selling experience. Poor odors throughout your home is a major problem that you want to eliminate in its entirety. Unfortunately, when you want to open the windows to improve your home’s overall feel, but have to combat with outside odors that creep into your home, you need to invest in reliable odor removal. Although a potential buyer may understand that exterior odors are not actually coming from your home, they may feel reluctant to purchase your home as they may worry about keeping the odors outside. For instance, a future homeowner may intend on opening the windows on a daily basis, and you need to show them that this will not be a problem by using an odor neutralizer to maintain a neutral-smelling home. It is only natural for your home to develop its own odors, which can come from various things, such as pets, furniture, and decorations. Although these odors are not always bad, you are better off to neutralize them because you do not want to cater to a particular preference. It is best to fill your home up with scents that are generally well-received to maximize your chance of impressing buyers. 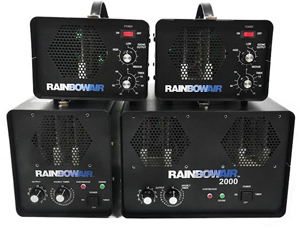 The Rainbowair line of ozone generators is a great choice for property management and Realtors. When you do not have to worry about odors throughout your home, you can showcase a more attractive home. It is just one feature that will not be put down as a con for those who visit your home, and in some cases, you might be able to better your chances with the new scents that you are able to incorporate. If you have any questions about removing odors from your home, contact us today. Many people all over the world suffer from problems with mold and mildew odor in their homes, and are often in search of a way to rid the house of this unforgiving and difficult problem. When you get mold in different areas of the house, this then leads to mildew, which can leave a nasty odor in the area. Mold is essentially a fungus and is found in areas where there is little ventilation and a warm, damp surrounding. Mildew is basically mold which has attached itself to some kind of material, mainly fabric and is usually found on carpets, rugs, clothes, towels and linens. Mold and mildew odors are a problem in many households and is difficult to get rid of completely. As well as mold and mildew odor being unpleasant to our senses, it can also be dangerous to people with allergies as it contains irritants and toxins which can be harmful. In most cases of mold and mildew odor, traditional deodorizers and cleaning equipment doesn’t get rid of it completely, it is important to make sure that all of the molecules and bacteria are removed; the best way to achieve this is by using ozone technology to eliminate mold and mildew completely. Ozone is created through a device which naturally creates ozone molecules from the air and then pushes them out into the area of the offending mold and mildew odor. The ozone molecule which is made up of three oxygen molecules will then separate and attach itself to the mold molecules and neutralize them. Once the oxygen atom has attached, the mold molecule is stripped of its personal odor characteristics and is dispersed as a neutral atom. Ozone is a very efficient air cleaner, as well as being proficient in odor control, as it is able to purify the air around it in a green and natural way, without releasing strong odors and chemicals into the air instead. 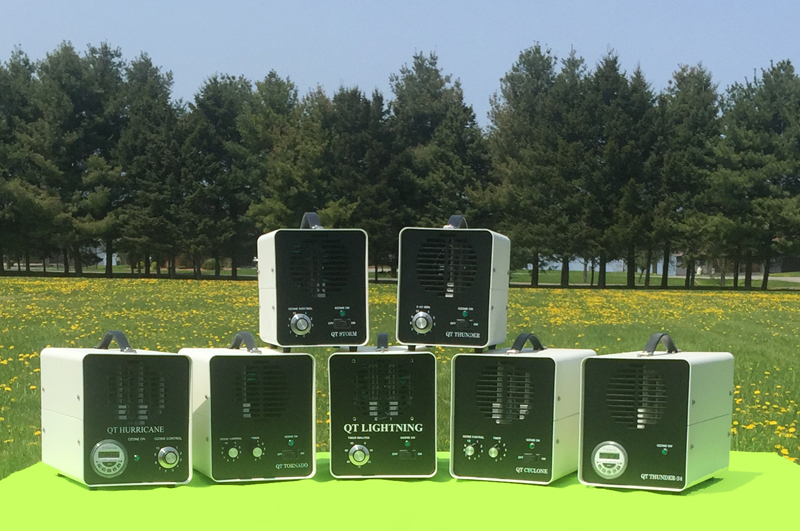 The equipment that generates ozone is becoming more widely available and is a great investment as it takes care of the mold and mildew odor forever rather than just masking it for the immediate future. The technology also has major health benefits as it works as a brilliant air purifier. 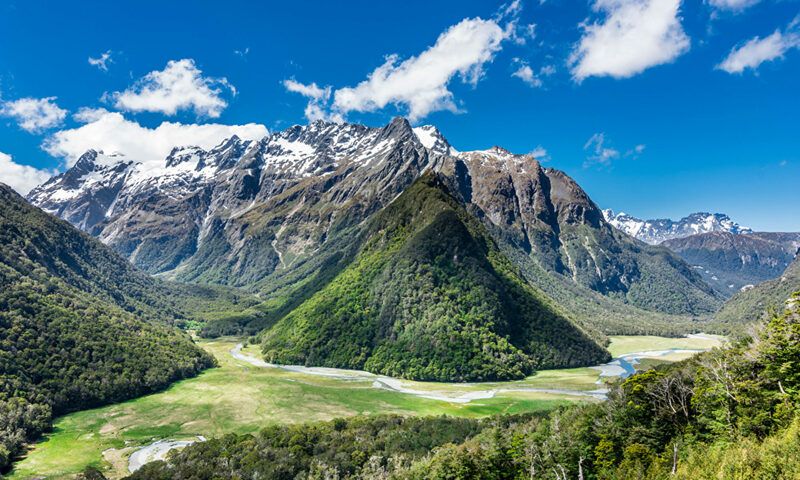 This is why ozone is often referred to as the world’s natural air filter, which makes the air cleaner and healthier for people who suffer from allergies and irritations in their lives. For more information, click here to visit our website to select the right ozone generator for your needs. Ozone has recieved a bad rep recently, mainly due to the summer-time smog issues primarily in California. In actuality, smog is a combination of hydrocarbons and VOC's (Volatile Organic Compounds) which inundate areas with larger amounts of pollution. Ozone IS NOT smog; it is, in fact, naturally ocurring. Ozone is present in smog, but the process that creates this pollution also creates smog. The more pollution you have, the more smog is created. Ozone is present to help clean the pollution, and without it we would not be able to life safely in our cities. Unfortunately, Ozone has been getting a bad rep when in fact it is the hydrocarbons and VOC's, along with the many other toxic and harmful particulates in the air. For more information on what Ozone is and how it is actually GOOD for us to have around, read this article Ozone is Good and Natural. Just like a vehicle, ozone generators need to be maintained in order to run smoothly. You wouldn't buy a new car and never bring it in to get an oil changed or new tires, would you? The same could be said for ozone generators. 1. Keep your ozone generator up off the floor, preferably on a table or chair. Ozone is heavier than oxygen, so by placing the unit higher up, you will achieve better deodorization results. 2. Use a fan or air mover. By displacing the air and forcing it to move around, the ozone will be able to reach the walls, ceilings, inside of closets, etc. instead of just stagnating. The more air movement, the better the deodorization in your space. 3. Clean your ceramic plates every 3-6 months. Inside of the unit, the ceramic plates get dirty with frequent use, due to natural particulate forming. Electricity naturally arcs to the areas that contain the particulate, which sometimes will result in tiny pin holes burnt into the plates. When this happens, your fuse will blow, and you'll need brand new plates. So-keep those plates clean, and this wont happen. Clean plates=longer ozone generator usage. 4. Eliminate as much moisture as possible. If you are running the machine, you should run a de-humidifier prior to shock treating the area. Too much moisture in the air will cause your fuses to blow to help protect the transformer-so make sure ahead of time you lessen the moisture/humidity. 5. Don't run your unit for days on end. A lot of people think that if they run the unit for days and days, it will do a better job. This isn't necessarily true. Usage varies due to the size of the space you will be shock treating; it's really a test of trial and error on your part. There is no written script or plan, because each situation is different, and each space is equally as unique. Also, make sure that while you run the ozone generator, you stay out of that area. General rule of thumb is that you should stay out of the room for as long as you have been running the machine. So, for example, if you've been ozonating for for 2 hours, you should stay out of the room for two hours. It won't kill you if you happen to breathe some in, but it is an irritant and it's best to stay clear of the ozone until it has converted back into oxygen. Read 'How Toxic Are Your Household Cleaning Supplies?' at OrganicConsumers.org. The Ozone Experts advocate 100% chemical free cleaning and deodorization-always.